Imagine an alien came down to Earth, stuck a probe into a climber's brain–one who'd been climbing for over thirty years–and then transmogrified the contents into a big book of climbing tips. 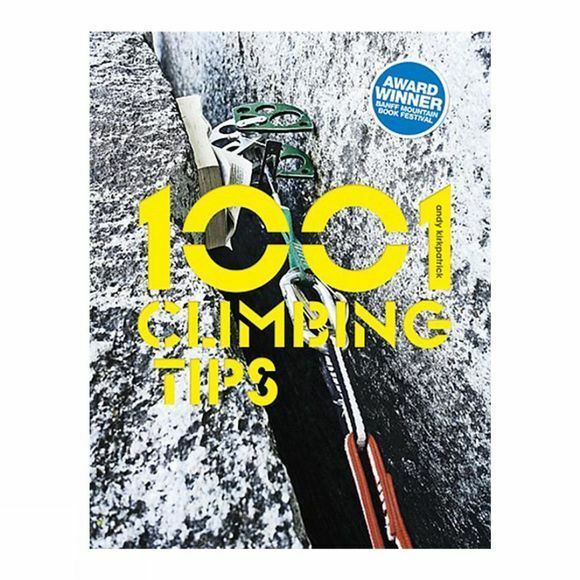 Well, 1001 Climbing Tips by Andy Kirkpatrick is just such a book. This is no regular instruction manual–it's much more useful than that. This is a massive collection of all those little tips that make a real difference when at the crag, in the mountains, or when you're planning your next big trip. It's for anyone who hangs off stuff, or just hangs around in the mountains. These tips are based on three decades of climbing obsession, as well as nineteen ascents of El Cap, numerous Alpine north faces, trips to the polar ice caps, and many other scary climbs and expeditions.